A sleek triple marquise pattern set with single diamonds is anchored to this polished 14K white gold wedding band by two additional diamonds. 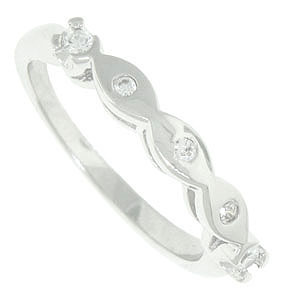 This distinctive wedding band measures 2.89 mm in width. Size 5 3/4. We can re-size or reorder in any size. 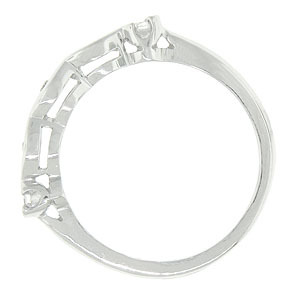 The wedding ring is also available in 18k, yellow gold and platinum.